We’ve talked often about the obligations and responsibilities of memoir and the way in which our memory, more than our truth, shapes our past. Imagine if fiction took on this confusion. If even in the context of fiction, we would lose sight of the truth, in favor of memory, experience and peer pressure. 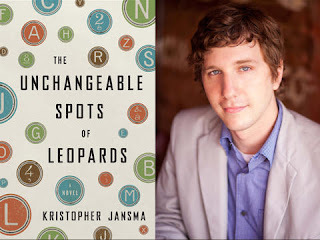 That's some of the backdrop for a new novel, The Unchangeable Spots of Leopards, by Kristopher Jansma.